The ability to instantly block a lost or stolen card — a key feature of NFC payments services — topped the list of transactional features 18- to 26-year-olds would be prepared to pay for, a UK survey has found. 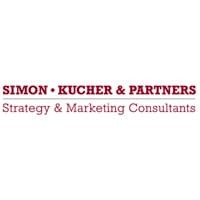 People in the 18-26 age bracket are willing to spend about £5 (US$8.07) every month to access mobile banking services, a UK survey from pricing consultants Simon-Kucher & Partners has revealed. 94% said blocking lost or stolen cards was the most important transactional feature. Retail payments are wanted by 59% of respondents. P2P payments are wanted by 57% of respondents. 84% said fraud monitoring was the most important interactive feature. 73% were interested in using mobile banking services, even though only 13% currently do so. 81% of those questioned said information services were important or very important. 60% of those who were interested in information services said that checking their bank balance on the go was the most important feature. “Banks are increasingly looking to promote single-fee service plans, for example packaged current accounts, rather than component-level pricing structures and therefore we believe that a monthly service plan will be the simplest and most natural price structure for a full, functionally rich mobile banking service,” Snowman told NFC World. I find this very hard to believe, seeing as the majority of people in the UK won’t even pay for their current account. In addition, online banking penetration is less than 10%. In the UK, mobile banking apps have been available for some time now with monetise signing up most of the Retail banks. In that time, online banking pentration has gone up from ~4% to just over 9% last year.